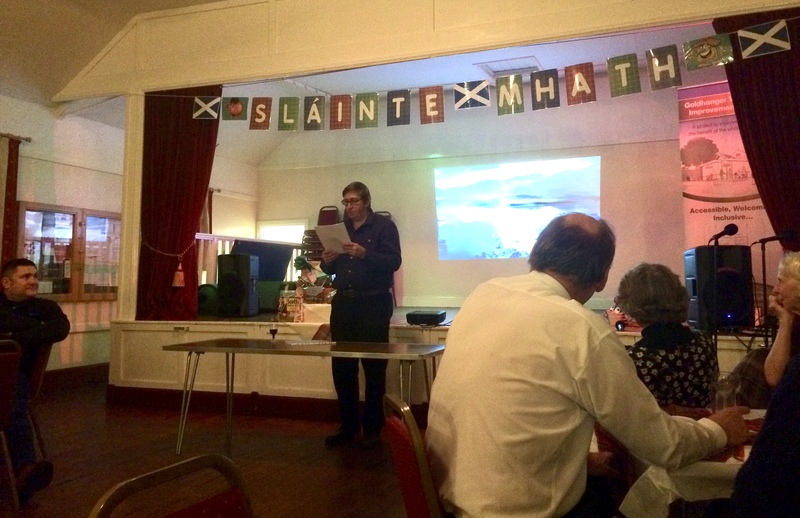 The Address to the Haggis all eight verses read by a medley of different people, with special mention to Mike Connell for his murderous performance with Hamish! 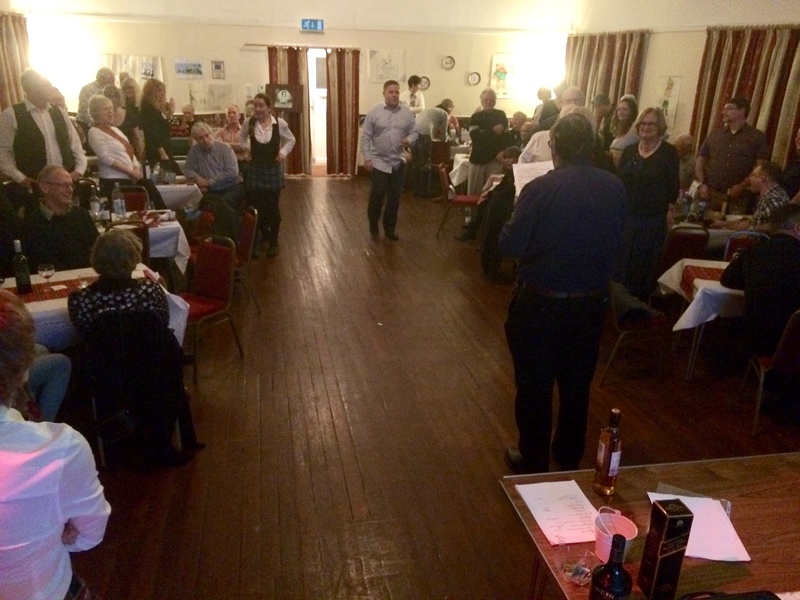 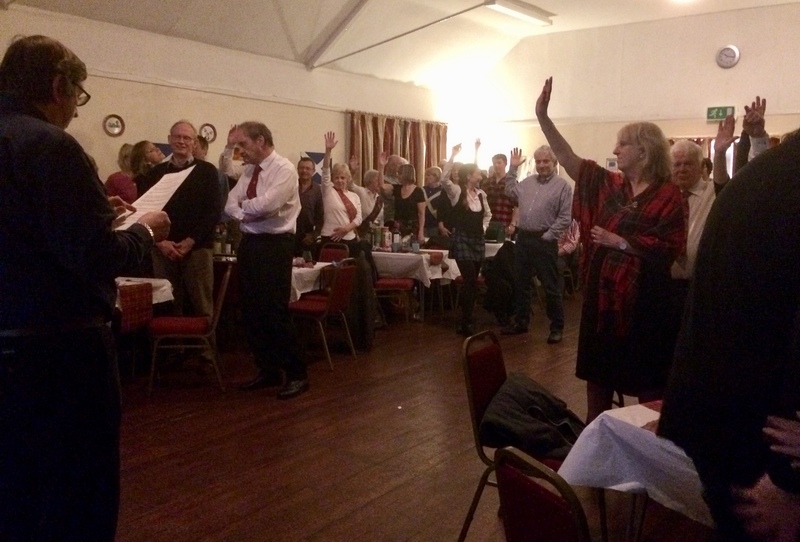 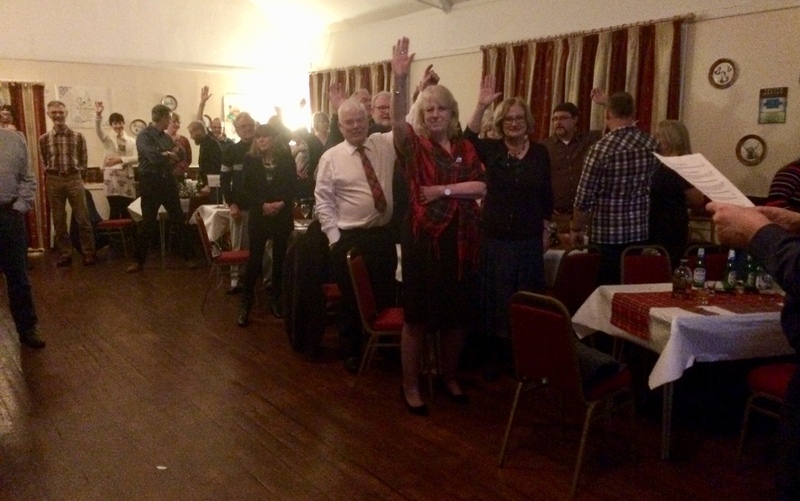 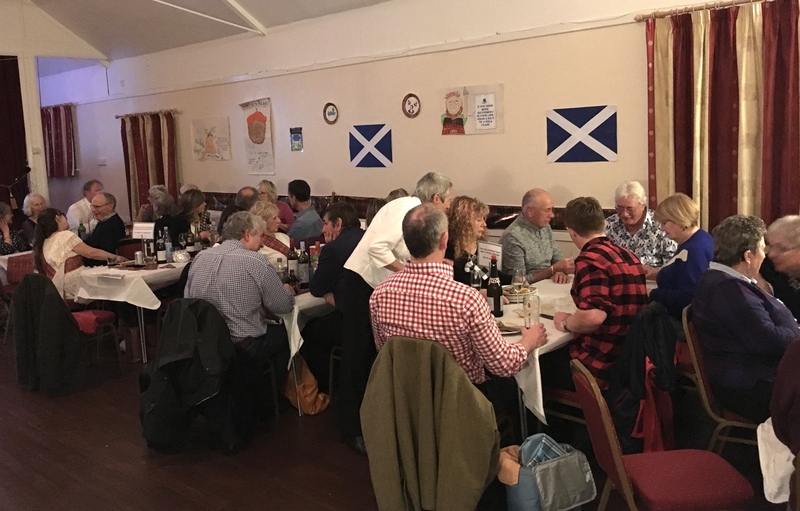 The evening was rounded up with whisky games, the raffle and a grand finale of Auld Lang Syne which the whole room took part in. 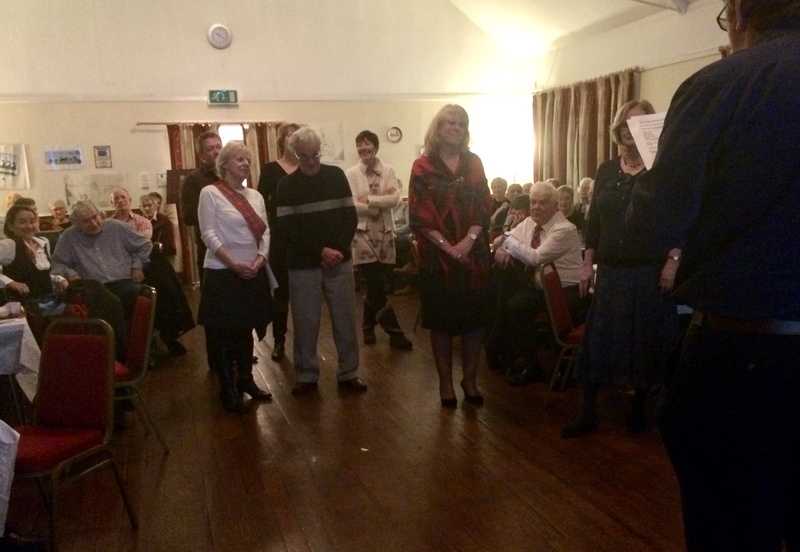 The event raised over £500 of much needed funds for the Village Hall Improvement Project. 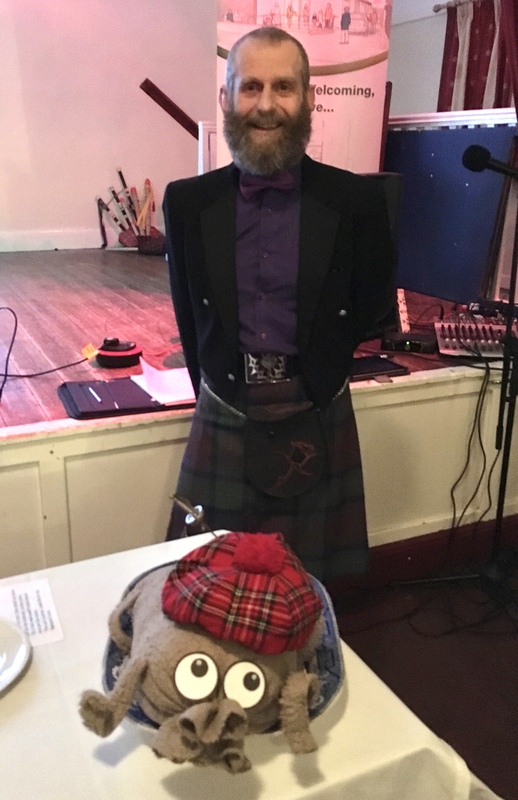 Video: Piping in Hamish the Haggis!